Dr. Stephen Weinstein always appreciates feedback from his valued patients. To date, we’re thrilled to have collected 69 reviews with an average rating of 4.88 out of 5 stars. Please read what others are saying about Dr. Stephen Weinstein below, and as always, we would love to collect your feedback. One of the best doctors evere! I feel very fortunate to be in his care as he is patient, kind and knoledgeable. I only have praise for dr. Weinstein. 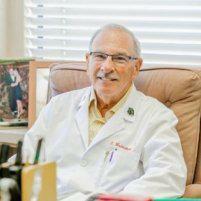 Always feel taken care of and comforted when I see Dr. Weinstein! Dr. Weinstein is a very caring doctor. He has been my doctor for about 20 years and I’ve been very happy with him and level of his care. Dr. Weinstein spent a lot of time answering all of my questions. He's really good at taking some of the stress out of a first pregnancy. Dr W was wonderful, as usual. Dr Weinstein is very thorough, explained my procedure very clearly and he is always available to answer any questions. Office staff is also very nice. I like Dr. Weinstein. The staff could be friendlier. The staff and Dr. Weinstein are wonderful! I appreciated that Dr Weinstein took the time to meet with me and discuss any concerns before the exam. He was professional, knowledgeable, and I got answers to my questions. Dr. Weinstein is the absolute best! So lucky to have him as my OB/GYN for the last 20 years. Dr. Weinstein and his staff are consistently friendly, efficient, and do all they can to give their patients the best care. It’s always a pleasure to visit this lovely office and efficient staff. Dr. Weinstein is always very helpful and caring - his office is so accommodating! Really felt like I was in good hands, even during an uncomfortavle proceedure. I really appreciated that Dr. Weinstein took the time to explain everything to me so that I understood the "why" and "how," not just the "what". Feels great to have a doctor I can trust.